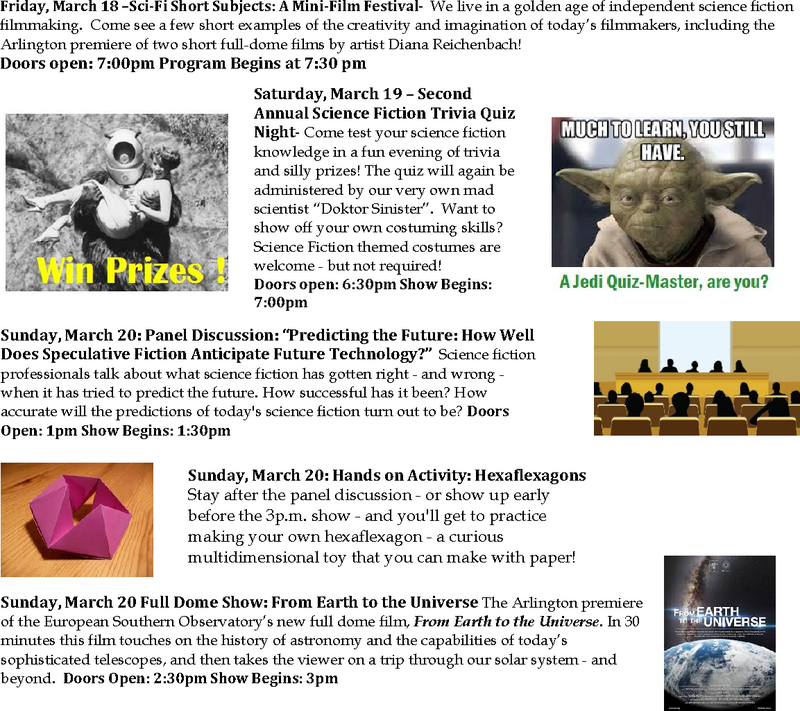 March 2016 Friends Weekend - Science Fiction Festival! 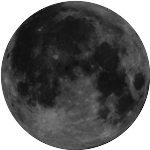 Come to the Arlington Planetarium on the weekend of March 18-20. 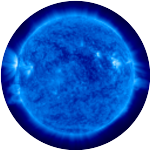 A variety of fun science and science fiction related events are planned - and 3, that's right, 3 short full dome films are premiering during the weekend! Download a colorful PDF flyer advertising the Science Fiction Festival, suitable for bulletin boards, slipping under windshield wipers, or handing out to random strangers. 2nd Annual Science Fiction Trivia Quiz Night! Panel Discussion: "Predicting the Future: How Well Does Speculative Fiction Anticipate Future Technology?"